Follow-up #1 on What am I eating? So without getting to technical I learned that frozen cut leaf spinach is low in fat, high in fiber, and contains a surprisingly high amount of protein. Figuring I must have consumed at least 8 ounces I converted this to grams which means I consumed about 250 of them. 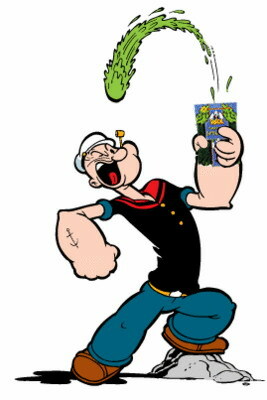 So the spinach I ate contained about 85 calories, 9.25 grams of fiber, and 10 grams of protein. So next time you go shopping pick out some high fiber, low-calorie, high protein spinach to go along with the rest of your meal. Maybe Popeye knew what he was doing. Next we will analyze another of my favorite vegetables the Lima Bean, now that should be nothing short of fascinating. ← Previous Post What am I eating?